Welcome to our Macmillan challenge page! Here you can find everything you need to join in and take part in supporting our goal of fundraising with Macmillan. We have partnered with Macmillan Cancer Support to raise money and awareness for people affected by cancer and raise enough money to pay for 2,500 Macmillan nursing hours. For updates and news about our partnerships and challenges please visit our Macmillan Blog. 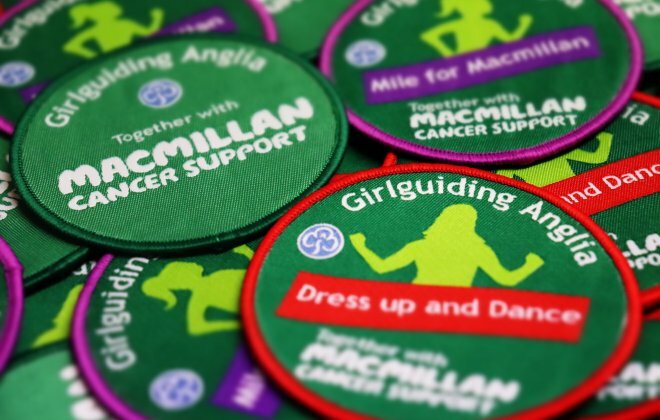 Our challenge badges will run throughout the year and into 2020, focussing on 3 main badges, Fundraising, Worlds Biggest Coffee Morning and Awareness. If you would like some extra challenges there are 3 more that link into these throughout the year. These include Dress Up And Dance, Mile For Macmillan and Volunteering. You can find all Challenges at the bottom of this challenge page. Put on an event or activity and fundraise in your unit! Dress up in your favourite dancing clothes or fancy dress, turn on the music and dance! Get your unit involved and get creative or active. Hold or support a coffee morning, lets get baking! Raise awareness through discussions and activities in your units. 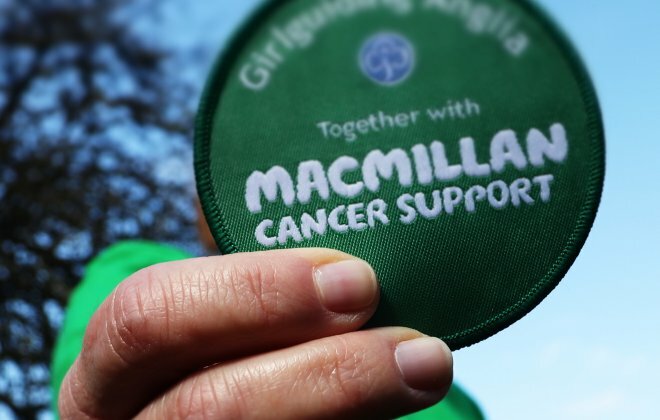 Have you enjoyed taking part in our Macmillan challenges? Why not volunteer?